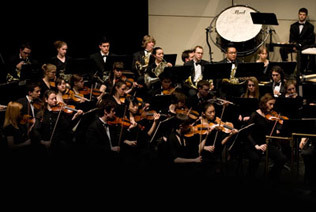 Uri Mayer, Professor and Director of Orchestral Studies at the University of Toronto, has taught on the faculties of the University of Michigan in Ann Arbor, Rice University Shepherd School of Music in Houston, McGill University in Montreal and at the Glenn Gould School of the Royal Conservatory of Music (GGS). Renowned for his strong command of broad symphonic, operatic and ballet repertoire, Mayer has guest conducted many of the leading orchestras around the world including the Montreal, Toronto, Winnipeg and Vancouver symphonies in Canada, the Houston and Utah symphonies in the U.S., London Mozart Players and the English Symphony Orchestra, NDR Philharmonie in Hannover, Slovak Philharmonic, Budapest, Belgrade and Sophia Philharmonics, Israel Philharmonic, NHK Orchestra and Osaka Symphony in Japan and National Symphony of Taiwan. He served as Principal Conductor of the Kansai Philharmonic Orchestra in Osaka, Japan and Artistic Director of the Israel Sinfonietta. 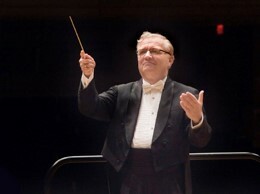 In Canada, Mayer was Music Director of the Edmonton Symphony and Orchestra London. Mayer has led numerous opera productions in Canada, the U.S, the Netherlands, Hungary and Israel including The Barber of Seville, Così fan tutte, Don Giovanni, The Flying Dutchman, Salome and The Cunning Little Vixen. Some of the distinguished soloists who have collaborated with him include Elly Ameling, Kathleen Battle, Maureen Forrester, Frederica von Stade, Itzhak Perlman, Pinchas Zukerman, Peter Oundjian, Mstislav Rostropovich, Yo-Yo Ma, Claudio Arrau, Emanuel Ax and Sir András Schiff. Mayer has recorded for the Arabesque, CBC, Denon Japan, Hungaroton and Koch labels. Under his direction the Edmonton Symphony became one of Canada’s most frequently played orchestras on radio. They were awarded the Grand Prix du Disque-Canada for the recording of Orchestral Suites of the British Isles and nominated for a Juno Award for their Great Verdi Arias with Louis Quilico. In 2009, the University of Western Ontario conferred on Mayer a Doctor of Music Honoris causa in recognition of his contribution to the musical life in Canada.